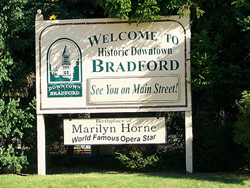 Howard Hanna Professionals- Bradford is located at 32-Bolivar Street, where we moved from our prior location, right next door. 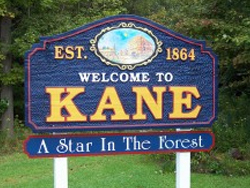 Our experienced agents and staff live in the communities of McKean County that they serve. Our Bradford office was formerly known as Penn Laurel Realty, and we are proud to continue and expand on the reputation that Broker Mike DePalma and his father created in the community. Howard Hanna Professionals was founded in 2017 as a partnership between Chautauqua County Headquartered Howard Hanna Holt Real Estate, Olean Based DBP Realty and Broker Dennis Pezzimenti, and Bradford PA Headquartered Penn Laurel Realty and broker Michael A. DePalma. Howard Hanna Professionals is focused on bringing superior service and innovating marketing programs to buyers and sellers of single family, multi-family, commercial, farm, vacation, and acreage in Southwestern NY (Chautauqua, Cattaraugus, and Erie Counties) and McKean County Pennsylvania. © 2019 McKean County Association of Realtors All rights reserved. Information deemed to be reliable but not guaranteed. The data relating to real estate for sale on this website comes in part from the Broker Reciprocity Program. Real estate listings held by brokerage firms other than Howard Hanna Holt are marked with the BR logo and detailed information about them includes the name of the listing brokers. Listing broker has attempted to offer accurate data, but buyers are advised to confirm all items. Information last updated on 2019-04-19.